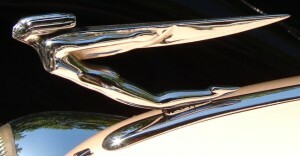 The Auburn automobile of 1934 to 1936 is our specialty! Years of hands on restoration have provided us with innumerable original parts and suppliers and manufacturers of quality replacement and reproduction parts to keep every Auburn body style on the move. Contact us at Contact Us or give us a call at 715-262-3183. We are located in Wisconsin in the USA. We look forward to assisting Auburn owners and restoration shops all over the world to get the 1934, 35 and 36 cars road worthy or concourse ready: whatever your goal. If you are not familiar with Auburns, check out our Resources page. 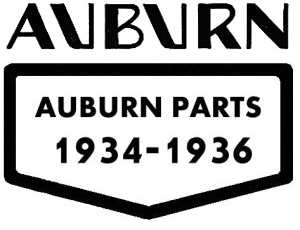 Auburns Midwest is dedicated to providing parts for 1934-36 Auburns. Engine parts, rubber parts, chrome trim parts. Every part possible, even frames and body panels when available. The stock changes as we acquire new groups of old parts and find additional parts that can be reproduced. Whether you are looking for a couple missing pieces to keep your old favorite on the road, or that missing part to get Grandpa’s heirloom running, or to acquire the flash of a pristine Flying Lady for Pebble Beach, we can help.